Recent catastrophic events involving loss of life due to combustible materials used in and on commercial buildings around the world has caused an international supply shortage of stonewool. 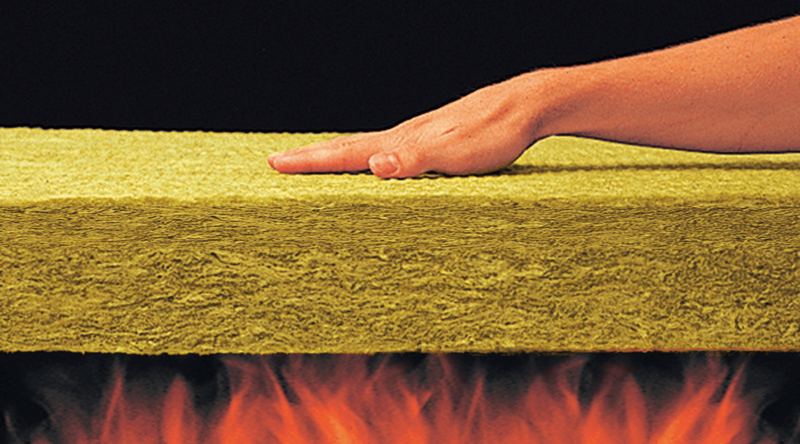 As the industry reacts to rapidly changing regulations with regard to improving building fire safety, supplies of stonewool are being drawn into Europe to satisfy the increased demand. ROCKWOOL®stonewool is available in Australia (and always has been). Drawing from two ROCKWOOL® ISO 9001:2008 (2004) rated factories in our region, a consistent supply of quality products and technical information is readily available for Australian designers, certifiers, builders and contractors on demand. 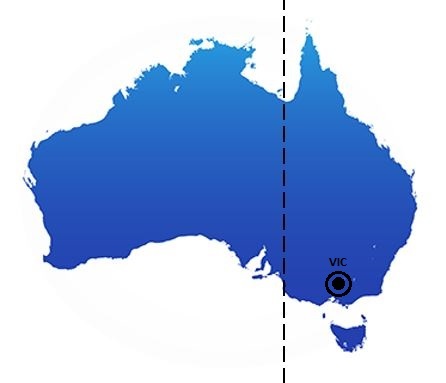 All ROCKWOOL® products available in Australia are NCC/BCA compliant and are tested by CSIRO in accordance with clause 3.4 of AS1530.1-1994. Contact us for immediate supply. Symonite Anodised HD is manufactured using a Heavy Duty fibre-reinforced phenolic core finished with a decorative coloured aluminium surface available on either one side or two. The phenolic core provides exceptional impact resistance and wind load deflection performance. Symonite HD can be manufactured from 3 to 10mm thick. Anodising is the process in which chemical baths are used to treat the surface of aluminium. 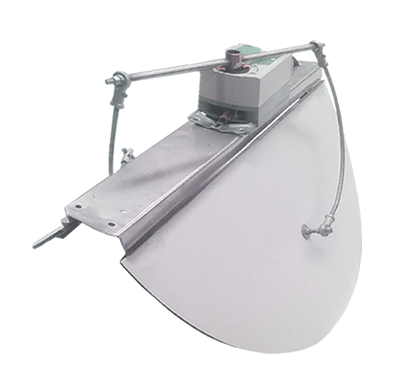 The aluminium receives an electrical charge that will increase the thickness of the oxide layer making it harder and more resistant to abrasion and corrosion. This layer integrates as part of the aluminium rather than an applied paint surface. The finished look is a bespoke metallic façade that elevates your project. Symonite FR Ultra and Symonite HD are the only aluminium composite panels able to be true anodised locally, specifically to your requirements. Specify with safety whilst maintaining your creative vision. Choose from our recently updated colour collection or for a bespoke look choose an optional ‘true anodised’ finish. Symonite FR Ultra can be fabricated using traditional fixing methods, or for a silicone free façade choose the smartfix fixing system. When considering wind loads and impact resistance the solid aluminium phenolic core outperforms any competitive ACP. 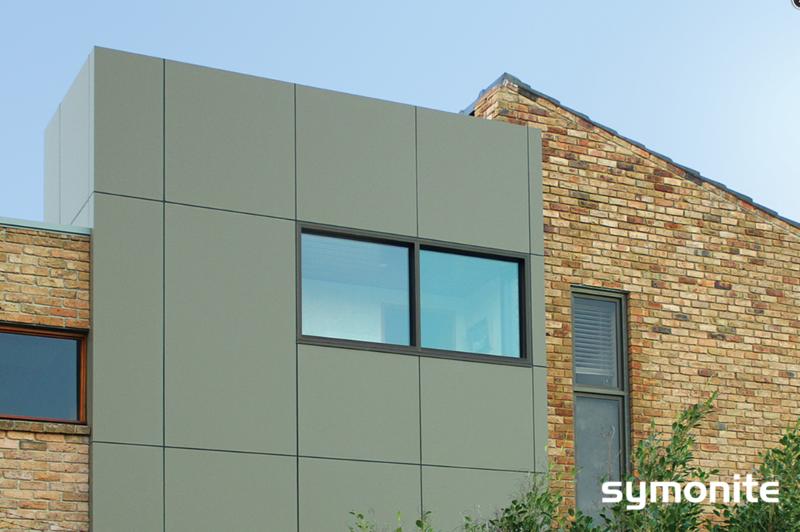 Symonite FR Ultra is the single most versatile aluminium composite panel available in the market today. Few insulation materials can withstand the temperatures of over 1000°C without melting according to DIN 4102-17 and ASTM E794. Safe n’ Silent Pro is non-combustible and achieves the highest European fire classification, A1, according to EN13501-1. This means that it can effectively impede the spread of fire and provides the critical extra time for occupants to escape from a room or building. It will not contribute to fire load within the building and complies with UL723 to achieve Flame Spread Index of 0 and Smoke Development Index 0. Made from a natural-based volcanic stone, a safe and sustainable material that continues to perform and lasts throughout the life time of the building. It is a product that harnesses the power from the earths volcano to spin wool out of stone into super quality stone wool with a unique range of benefits. The superior acoustical value lowers the reverberation performance from outside to inside and for room to room. Moisture resistant tested under EN 1609. The product repels water and therefore is able to maintain its shape overt time. As the product is made up of inorganic fibres, there is little nutrient source to allow fungal growth, and will not cause corrosion to metal studs nor promote fungi growth within the wall cavity. 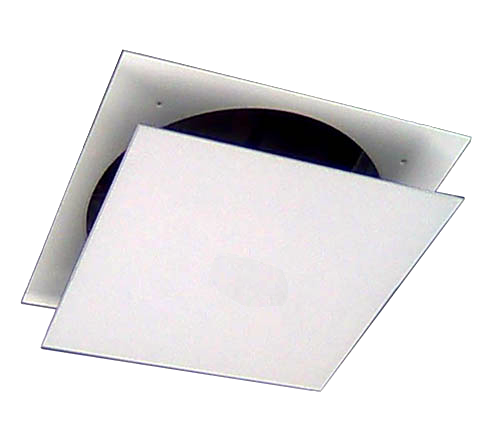 FlowMaster ceiling registers in your rooms improve health and well being significantly. By allowing the air in a rooms to change in a subtle positive manner, a fresh and seemingly lighter presence is created and maintained. The lower the ceiling height the greater the effect. Homes with 2.4 – 2.7m ceiling heights are those that benefit most. In bedrooms, the effect they have is particularly evident. This is demonstrated in the bedrooms of teenagers and children whose respiratory system is still maturing and therefore are more sensitive and suseptible to respiratory problems. 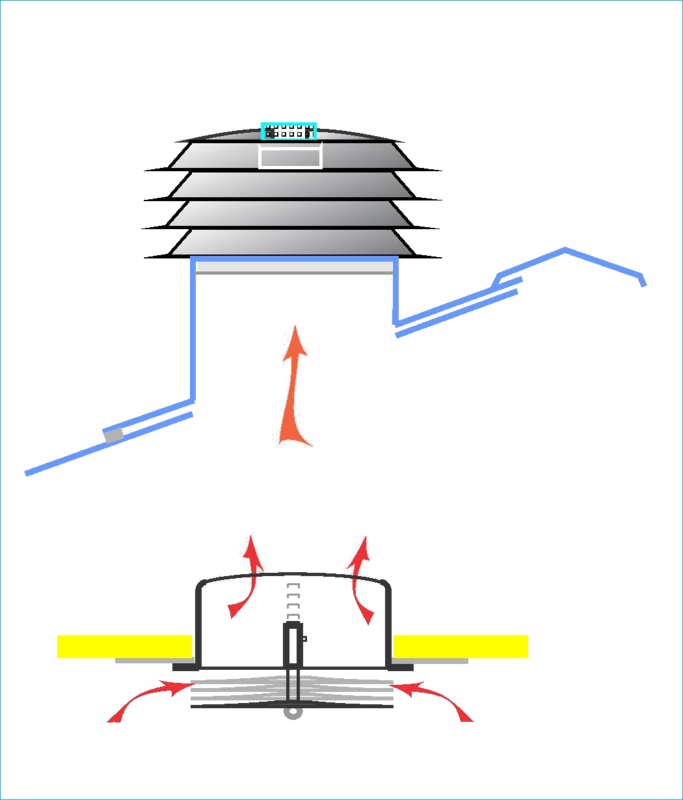 Apart from allowing the room to breathe naturally and when a door is opened or closed, a proportional volume is forced out of the room through the vent, and in turn air is replaced through the vent. Body movement through the room also creates air displacement. The FlowMaster ceiling register replaces the function lost by the original fixed wall and ceiling vents that were commonplace in homes until poor building standards were introduced. The greatest advantage is that they can be opened incrementally as well as closing off completely as the need arises. 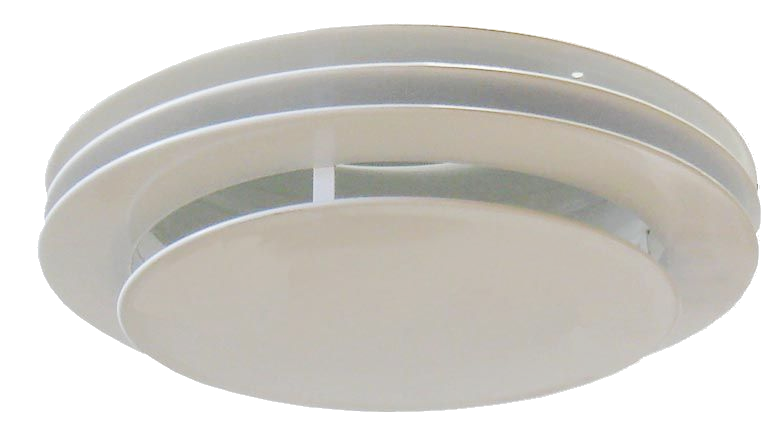 Ceiling vents come in different sizes for different purposes, however it is the design function that provides efficiency of performance, not appearance or cost. Appearance may have aesthetic acceptability or diminished presence, however its efficiency may be poor, and essentially all you end up with a good looking a dust trap. As regards to aesthetics, what may initially appear to be visually intrusive, when installed becomes innocuous a week later. Bring the sunshine into your home. 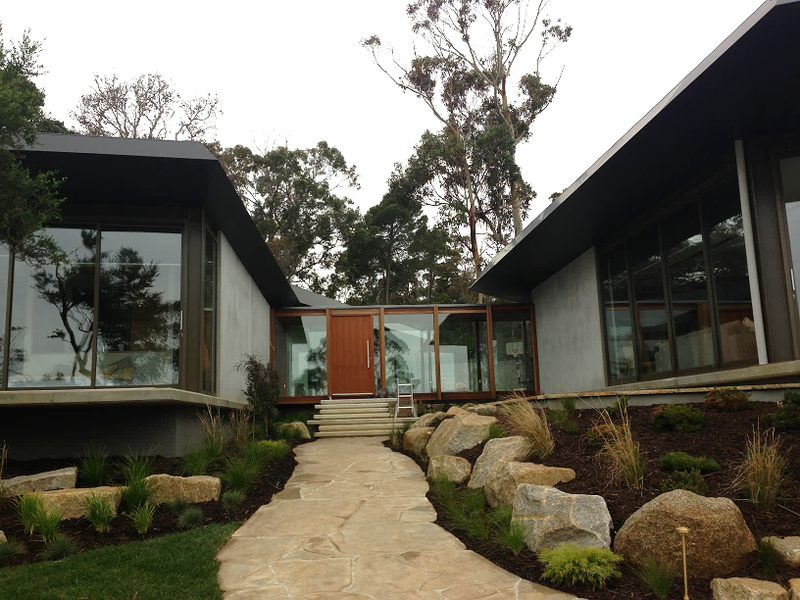 Bring the outdoors inside with Hufcor’s elegant and classic glass bi-fold doors system. A glass wall combines practicality with beauty creating a light and expansive ambience throughout the home. When you have invested in a view or outdoor areas, you should be able to enjoy it from indoors in all weather conditions. 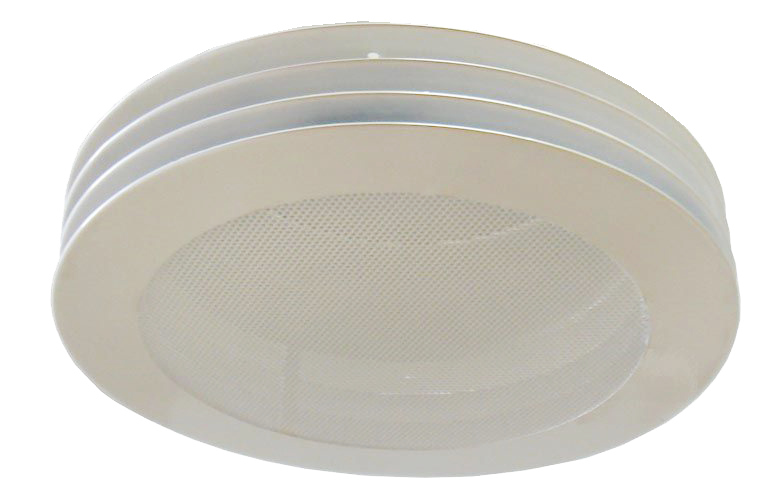 They are Commercially manufactured at Residential rates. The glass is sound tested for effective sound control. 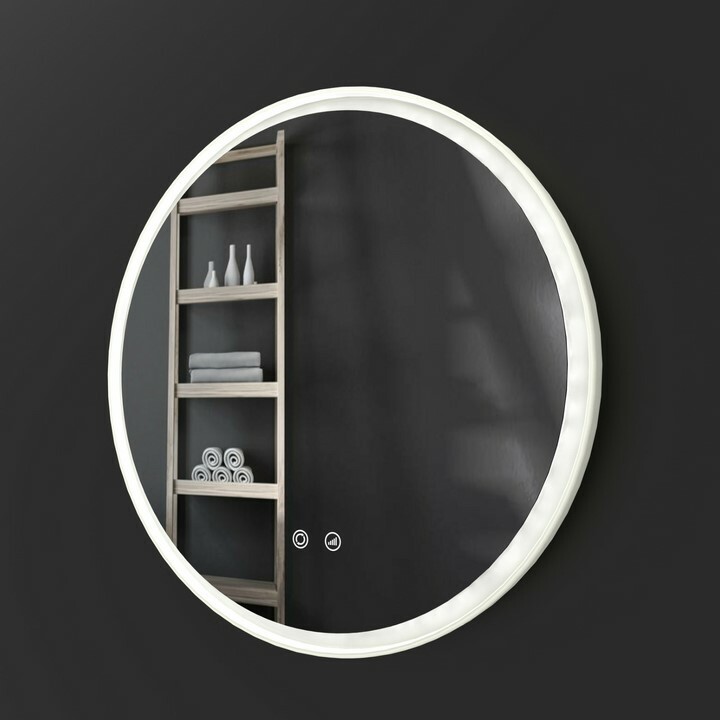 A Remer LED mirror will elevate your home to a previously unimaginable level, adding a significant style element to your home while simultaneously making your life easier. Personal grooming is made easy with illumination from the mirror without shining directly into your eyes. With the population over sixty five years of age set to double by 2051 there will be increasing demand for the development of new aged care facilities. How these facilities are ventilated can have significant cost implications for owners, but it is also important to consider the health and well-being of those that will inhabit the building. With heating and cooling making up a large portion of building operating costs, natural ventilation can be used to effectively reduce the usage of mechanical forms of ventilation. Natural ventilation will promote passive cooling, as well as provide an effective relief path for carbon dioxide and other air borne contaminants to be removed from the building. 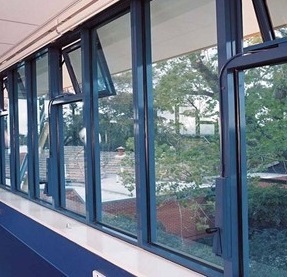 If windows are required to operate solely to lower carbon dioxide concentration, such as in the cooler months, controlled fine openings will prevent large energy losses occurring. Restaurant ceiling design involves many factors including aesthetics, noise control, fire safety and humidity resistance, energy-efficiency and natural light, mould and mildew resistance, eco-friendly materials and durability. Visual appeal and acoustic performance of restaurant ceiling panels create ambiance. While aesthetics are key, performance is typically the priority in designing restaurant interiors, commercial kitchens, and food preparation areas. Suspended acoustic ceiling solutions for restaurants are evolving beyond the highly successful drop ceiling grid and tile format. They are changing shapes, hiding their gridlines and adding curves and colours. They are even leaving floating like clouds above the restaurant guests. Whether multi-functional or monolithic, minimalist or inspired by nature, restaurant ceiling ceilings designs are pushing the boundaries of aesthetic creativity and acoustic control. Optimizing acoustics in restaurants result in spaces where we actually can enjoy our meal and converse without having to shout to each other. 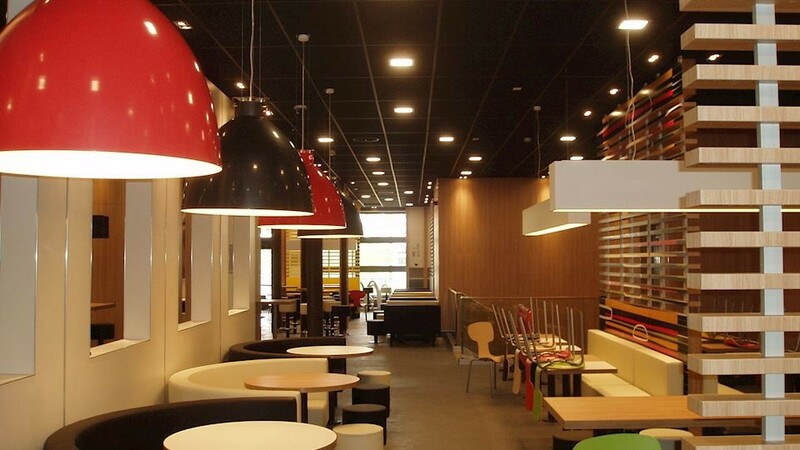 For busy restaurants with high volumes of visitors, very high sound absorption is essential. In any restaurant where guests want to be heard and understood, the right ceiling panel can make a big difference. Restaurant ceiling panels also improve the visual experience by covering exposed ducts and pipes. Panels with light reflection qualities improve a restaurant dining room’s aesthetics and ambiance. Using different colours and styles in ceiling design for restaurants can create a signature, brand look for a restaurant interior. Established in Japan in 1917, TOTO has been supplying the worlds’ top hotel groups with signature products of unsurpassed quality. TOTO hold a 60% market share in the Asia Pacific hotel space by providing top of the line ceramic toilet suites, washbasins, bathtubs, tapware and showers. The most important offering in the range is the electronic bidet Washlets. Removing the requirement for a separate ceramic bidet and toilet suite, Washlets have an integrated bidet system with the toilet seat. Providing hygiene, comfort and luxury to the user; TOTO have simplified the specification and installation of this highly sought-after convenience. Fast becoming industry standard in the 5- and 6-Star hotel market; TOTO Washlets are increasingly being specified in 3- and 4-Star hotels that cater to international clientele. Washlets are a signature point of difference to hotel brands wanting to compete for occupancy success in a saturated market. International travellers have an expectation and cultural need for bidet systems, which provides a challenge in the Australian space. Due to certification requirements, the ‘European’ style of ceramic bidet and tapware cannot be sourced locally. Space constrictions in Australian hotels often mean that the ability to have two separate units is not practical. TOTO are unique in that they can supply a range of different functions and price points with Washlets to complement all of their toilet suite ranges. 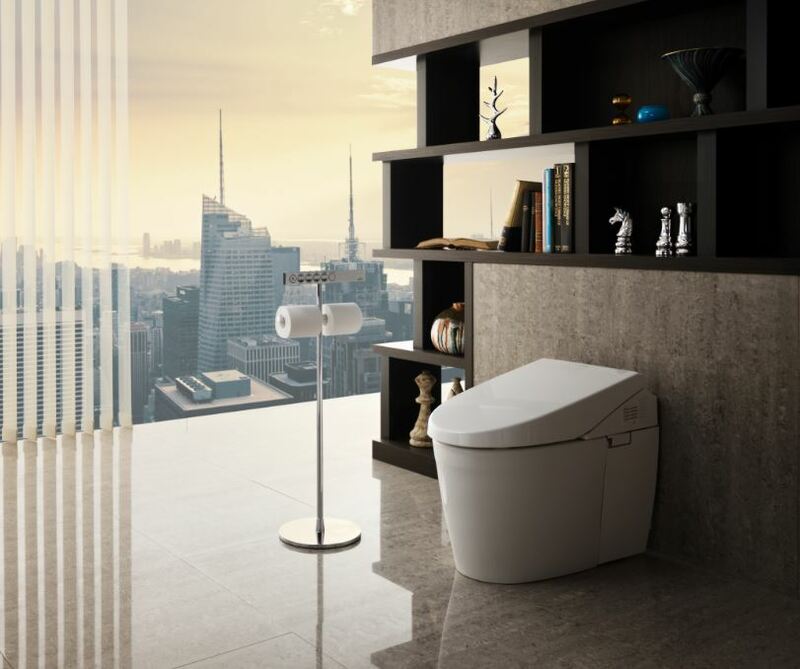 Whether you are specifying in-wall cisterns or regular suites, there will be a TOTO Washlet to match. The Neorest Collection is the must-have product in Penthouse suites and upmarket public spaces. Featuring an inbuilt cistern with the suite and automatic flushing, it is a completely integrated system. Either wall faced or wall hung, the Neorest represents TOTO’s commitment to cutting edge technology, design and comfort. Since its foundation in 2015, the Sirius Design Centre has remained the premiere distributor and specifier of the TOTO collections in Australia. Sirius has partnered with the Ritz Carlton Melbourne and Perth, Sandstones Patina in Sydney and Rosewood Hotels in Brisbane. Sirius Design have been featured in the Emirates Lounge Melbourne Airport, Metropolis function rooms Southbank, high rollers’ gaming room at Melbourne’s Crown Casino and the Luxury multi- residential project The Muse which features Melbourne’s most expensive penthouse apartment. With an obvious and expanding market, Sirius Design Centre have recently opened an Architectural &amp; Specifier Showroom located in South Melbourne, in order to showcase the latest in Japanese technology and design. Having collaborated with the top specifiers in the architectural and design world, the Sirius team provide expert technical knowledge of TOTO product and a commitment to the highest possible service standards. Symonite HD is manufactured for performance. 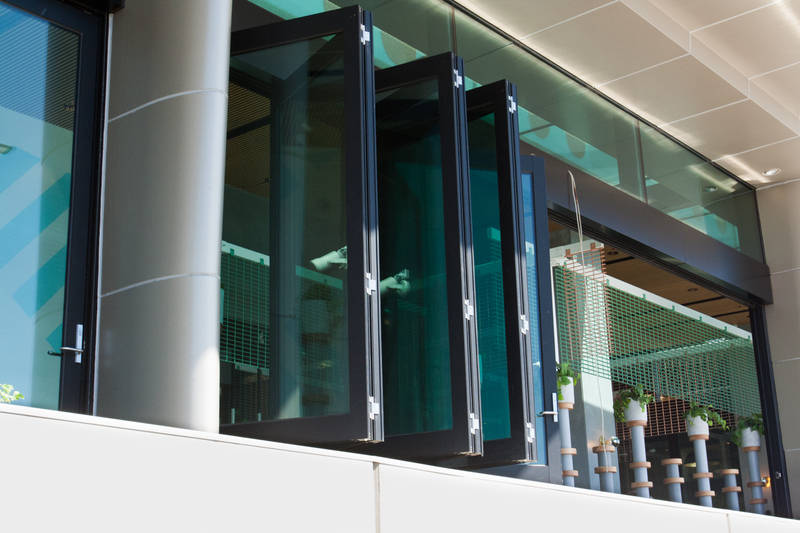 The only aluminium composite panel of its kind Symonite HD has a unique Heavy Duty, industrial strength phenolic core, resulting in an ultra-impact resistant panel unrivaled in the Australian market and with proven resistance to indenting between 300% – 500% superior to a typical polyethylene core. The PVDF paint system is a highly durable decorative finish, which requires nothing more than regular wash with water to enhance life and maintain attractiveness for long-term maintenance. 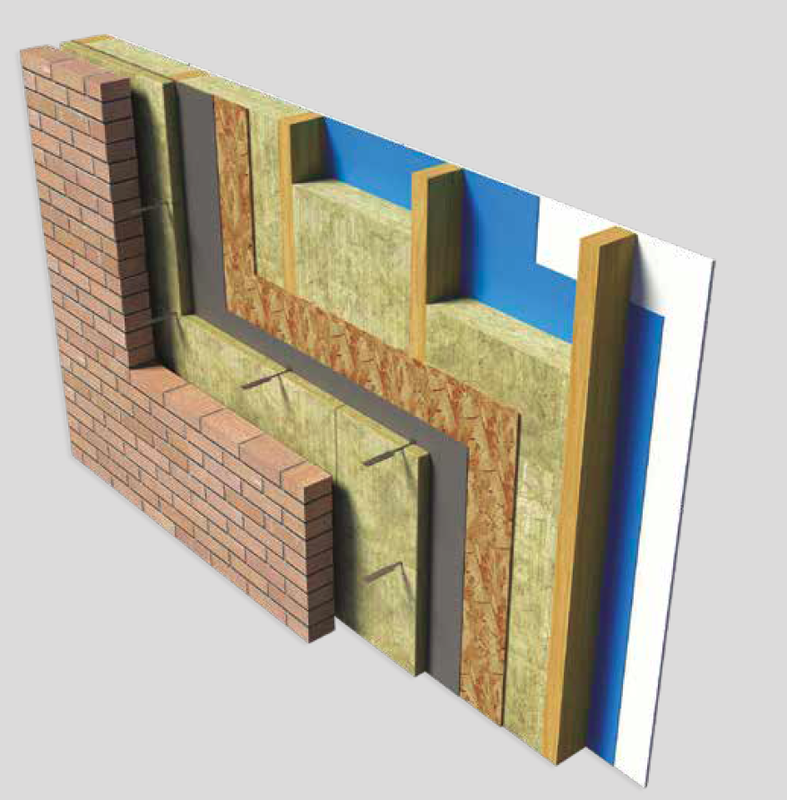 Symonite HD comes with a group 3 fire rating and is manufactured to withstand the natural elements and, due to its core can withstand high thermal temperature hence, prevents panel deformation.